Lots of great stuff happened over the weekend. We had a house party in the Inner Sunset on Saturday evening. The next morning, we gathered over a hundred signatures in the same neighborhood in under three hours! Oh, Inner Sunset, how we love you. Check out the great Inner Sunset Park Neighbors website to learn more about this slice of San Francisco. Then, go to Arizmendi Bakery on 9th between Irving and Judah, and learn more about their slices of to-die-for coffee cake. Of all the fun things we got to do, though, Sunday night's PARTY HARD(ing) was by far the best. (That link goes to an excellent recap of the event over at Local Addition.) 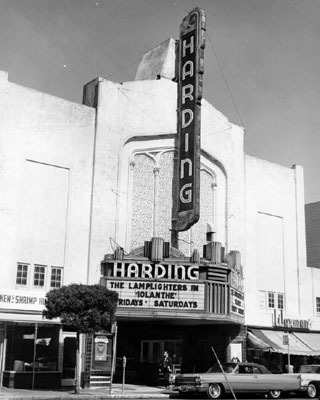 Put on by the tenacious members of Neighbors Developing Divisadero, the party supported NDDIVIS's efforts to purchase and revitalize the historic Harding Theater on Divisadero. The party to benefit one historic San Francisco structure was held in another historic San Francisco structure. The William Westerfeld House, built in 1889 by a German candy baron (you can't make this stuff up), has welcomed everyone from Janis Joplin to Anton LaVey (who rudely let his lion cub claw up the doorway to the turret staircase, but ok). 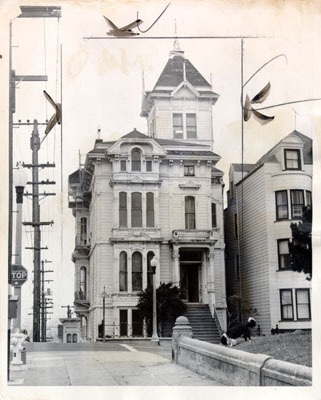 It's a stunning piece of architecture and history sitting on the northwest corner of Alamo Square. NDDIVIS took over the house for the night and transformed it into a hive of activity. Conversations about community-centric development and sustainability abounded, as did delicious food from Mamak and Localist. 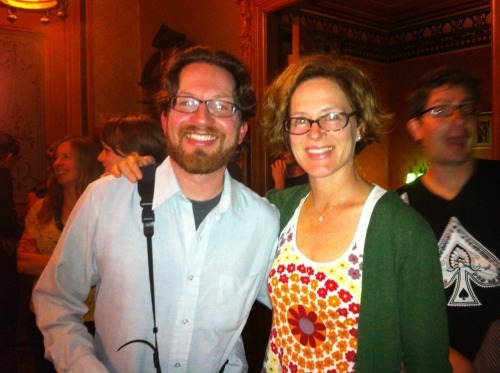 Thea and Paul, a talented local photographer. Congratulations are due to NDDIVIS for a tremendously successful event ($2500 raised!). Everyone should go check out The Harding Hive Campaign, and let us know what you think! *Top two pictures courtesy the San Francisco Historical Photograph Collection at the San Francisco Public Library!